When you are looking for in-home care services for your loved ones with mobility problems, a severe injury, or a chronic illness, you might be confused as to what type of service is right for them. There are in-home care providers that say they provide home care services and some say they provide home health care services. Both of these care options can be evidently enjoyed in one’s own abode. The services provided are also personalized to fit the needs of your loved one. But what exactly is the difference? 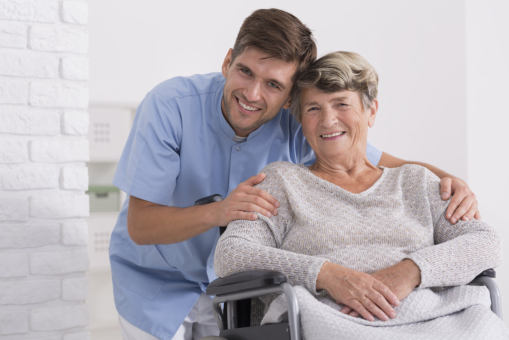 We at Healing Through Caring Homecare LLC, a provider of homecare in Spring, Texas, will give you insight on the difference between these two care services so that you can make an informed decision on what type of service will work best for your loved ones. Home Care provides non-medical care to individuals with special needs, meaning they only assist with personal care, light housekeeping, companionship, and other tasks that do not require a medical procedure or intervention. The schedule of care depends on your chosen care provider. However, when you choose us, our caregivers work at a flexible schedule, depending on your specific needs. On the other hand, home health care focuses on providing medical care. The kind of services offered is usually skilled nursing care, therapy services, and other medical services that can be accommodated at the patient’s home. The schedule of care also depends on your chosen home health care provider. It also helps to consult your loved ones’ physician if what type of in-home assistance, whether medical or non-medical, is right for them. Some care agencies also offer a free assessment so that you will know if what they offer is in line with your family member’s needs. If you are in need of personal care services in Texas, you can count on us at Healing Through Caring Homecare LLC. This entry was posted in Home Care and tagged Health Care, nursing care, personal care. Bookmark the permalink.